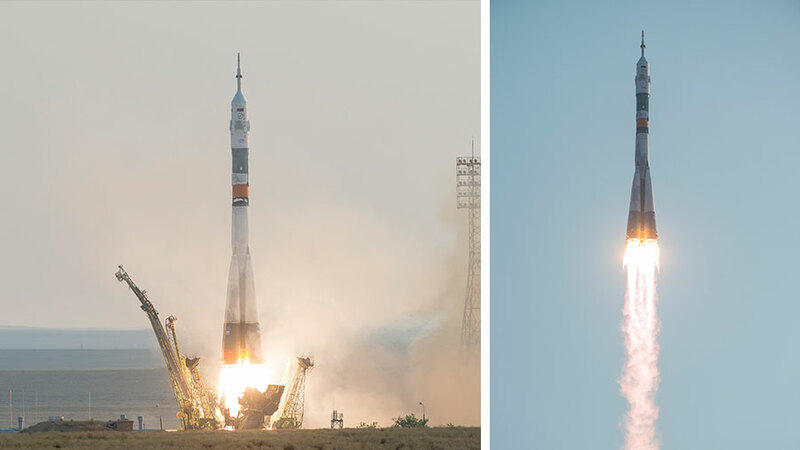 The Soyuz MS-01 launched from the Baikonur Cosmodrome in Kazakhstan to the International Space Station at 9:36 p.m. EDT Wednesday (7:36 a.m. Baikonur time, July 7). NASA astronaut Kate Rubins, cosmonaut Anatoly Ivanishin of the Russian space agency Roscosmos, and astronaut Takuya Onishi of the Japan Aerospace Exploration Agency are now safely in orbit. This is the first flight for the upgraded Soyuz MS-01 spacecraft. The three crew members will travel for two days and a total of 34 Earth orbits before docking to the space station’s Rassvet module at 12:12 a.m. Saturday, July 9. NASA TV coverage of the docking will begin at 11:30 p.m. Friday, July 8.
https://www.nasa.gov/station. For launch coverage and more information about the mission, visit: https://blogs.nasa.gov/spacestation/. Get breaking news, images and features from the station on Instagram at: http://instagram.com/iss and on Twitter @Space_Station.